Mole, Water Rat, Badger, and the mischievous Toad live a quiet life on banks of the River Thames with the rest of their animal friends. But Toad tends to get into trouble, and his passion for cars eventually results in his being caught and kept a helpless prisoner in the remotest dungeon of the best-guarded castle in all the land. Dressed as a washerwomanand with some help from his friendsToad manages to escape the castle and begins his journey home to Toad Hall. 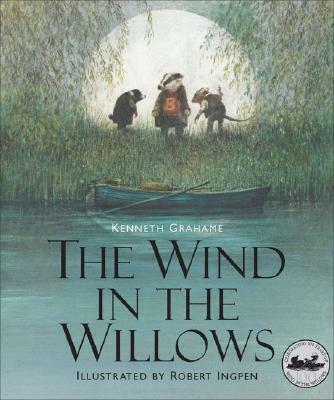 Originally published in 1908, this magnificent new edition of Kenneth Grahame’s charming tale brings the animals' adventures to life and is accompanied by more than 70 new illustrations from award-winning artist Robert Ingpen. Fans of all ages will enjoy relivingor reading for the first timethis heartwarming story of friendship.